Signs are posted in the Carleton Arb reminding users of the rules for winter use. The Carleton College Arboretum trails are groomed for both classic and skate skiing. 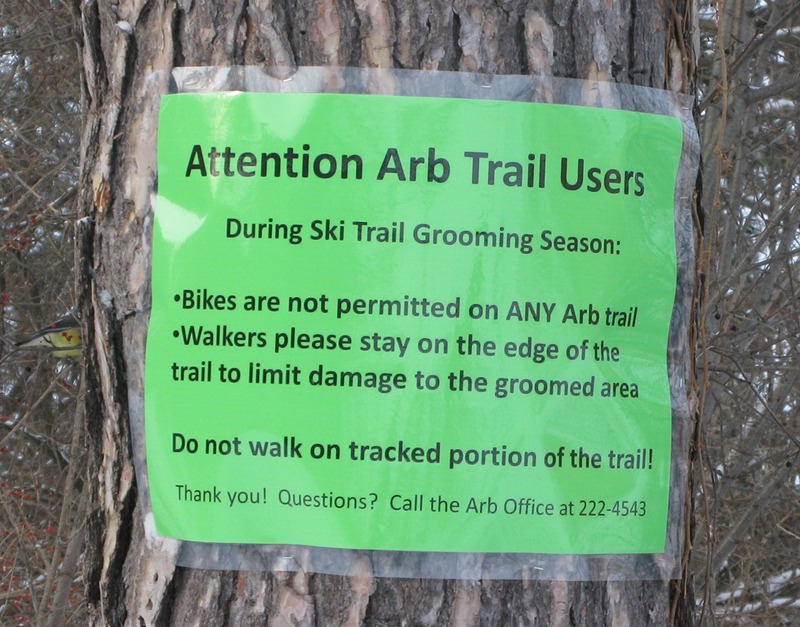 The trails in the Upper Arboretum are specifically groomed for skate skiing, while only small portions of the trails in the Lower Arboretum are wide enough to allow skate ski grooming. All trails are considered multiple use, so walkers or snowshoe users may be encountered at any time. Walkers/showshoers are encouraged to stay to the side, off of the portion of the trail groomed for skiers.